In 4-quart Dutch oven, mix all ingredients except shrimp and half-and-half. Heat to boiling. Stir in shrimp; reduce heat. Simmer uncovered 2 to 3 minutes or until shrimp are pink and firm. Gradually add half-and-half, stirring constantly, until half-and-half is just heated through. 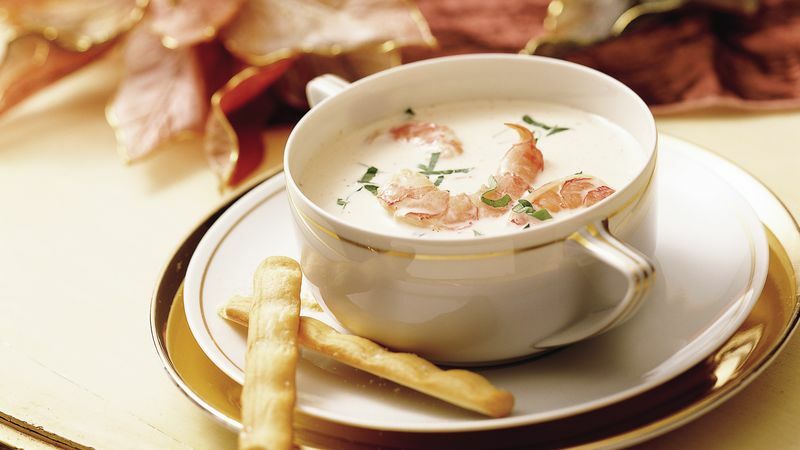 Turn up the heat in this creamy soup by adding 4 dashes of red pepper sauce. Garnish with snipped fresh Italian parsley, chopped fresh chives or sliced green onions. Serve with salad greens and warm breadsticks.